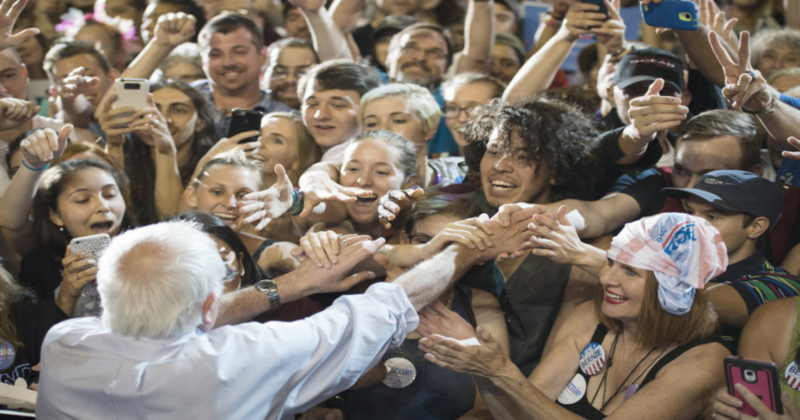 In the week leading up to the most vital California primary, the stakes for the Sanders campaign are higher than ever with Bernie campaigning hard on his progressive platform. California was an important win for Hillary Clinton in 2008, but recent polls show that her lead has slipped dramatically in a Sanders match-up. Most recent polls show her only one or two points ahead of Sanders at most – an impressive leap from polling numbers just a month ago. A win in California would be an important element in convincing Superdelegates that Sanders is truly the better Democratic candidate to head to the general election, despite Clinton’s lead in votes and delegates. At a California rally this week, Sanders urged his supporters to come out strong for his campaign ahead of the June 7 primary.